According to CDA, it doesn’t allow any residential/commercial land development in zone 3 of Islamabad as per the ICT land Use Zoning Regulation 1992. Moreover, CDA did not issue NOC to Arcadia City Project. CDA warns general public in their own interest to refrain from booking of plots in this project. 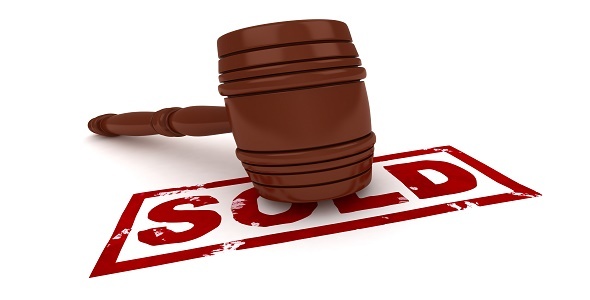 It also warns the sponsors of this project to refrain from advertising, sale and development this illegal project otherwise relevant law shall be applied against them. 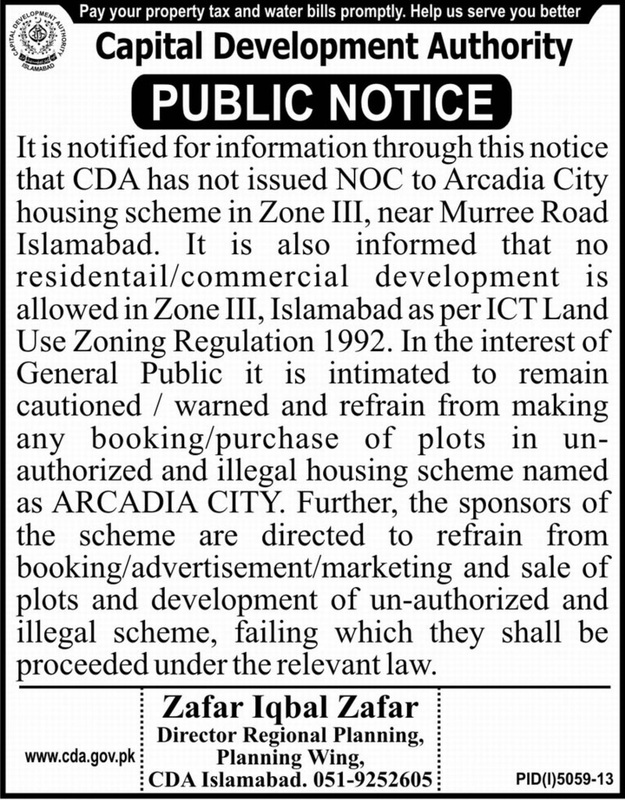 CDA took much time to issue this notice as many people might have booked plots already in this fraud scheme. A copy of public notice is attached below.